Since the ancient Maya have been added to the Key Stage 2 national curriculum for History (non-European Study) in the UK, there’s been a ‘mushrooming’ of online resources covering the topic, most of which are downright awful! After the recent flawed news story about a teenager finding a Maya site, I thought it an apt moment to let both teachers who are teaching the Maya and the general public know what they need to be looking out for to confirm a resource’s unreliability. All Maya specialists – and for that matter, all non-specialists who’ve read a book or two on the ancient Maya, know that the right word is Maya. The only time you should use the adjective ‘Mayan’ is when you are talking about their languages, the ‘Mayan languages’. So, if you see ‘Mayan people’, ‘Mayan pyramids, ‘Mayan art’, ‘Mayan civilisation’, etc., on a publication (website or magazine), you can be sure the person who wrote the article doesn’t know a thing about the ancient Maya. Unscrupulous sources will use the ‘Sun Stone’ to illustrate texts about the Maya calendar. Unfortunately, the famous sculpture is Aztec, not Maya. Using the ‘Sun Stone’ to talk about Maya calendar system is like using photos of the Elizabeth Tower at Westminster (AKA ‘Big Ben’), which was completed in 1859, to illustrate time keeping in ancient Rome! And yes I have even seen this image adorning the front cover of books on the Maya! Beware! This confusion is very common, but the truth is the Aztecs were very different to the Maya. They spoke a different language and had a different writing system. Also, the Maya civilisation began at least 1500 years before the Aztecs. The Aztec capital of Tenochtitlan is as far away from the great Maya site of Tikal as London is from Milan, Italy! Would you like to see an image of Stonehenge on the front cover of a book on the French? I think not! Then we get the Egyptians…. Firstly, the ancient Maya and ancient Egyptians lived during different time periods. The time of pyramid building in Egypt was around 2000 years earlier than the earliest Maya pyramid. 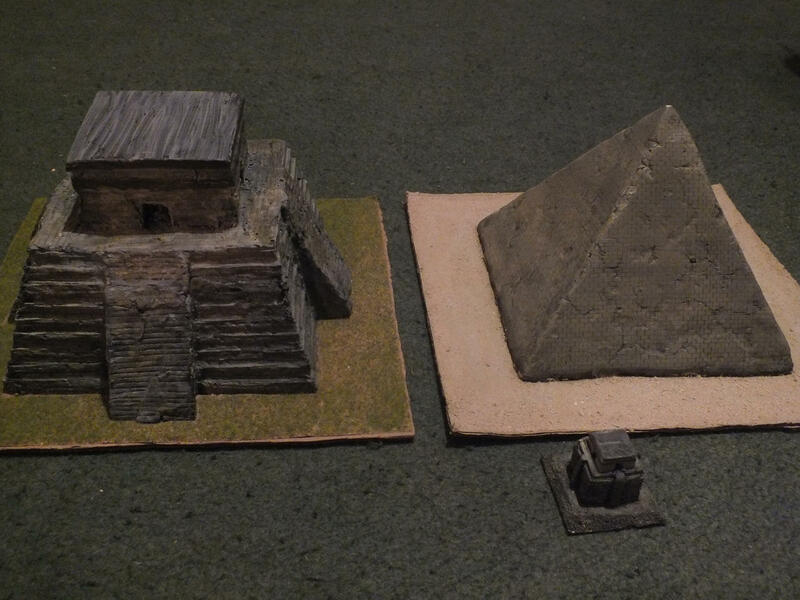 Secondly, Egyptian pyramids have a different shape and function to those of the Maya. Maya pyramids are not actually pyramidal! They have a polygonal base, but their four faces do not meet at a common point like Egyptian pyramids. Maya pyramids were flat and often had a small room built on top. Pyramids in Egypt were used as tombs for the dead rulers, for the Maya though, the pyramids were mainly used for ceremonies carried out on top and watched from below. Lastly, they were built differently. Maya pyramids were built in layers; each generation would build a bigger structure over the previous one. Egyptian pyramids, on the other hand, were designed and built as a single edifice. Uninformed sources talk about the ‘mysterious’ disappearance of the ancient Maya around the 10th century AD., which mislead people to think that the Maya disappeared forever…. Firstly, the Maya did not disappear. Around 8 million Maya are still living today in various countries of Central America (Mexico, Guatemala, Belize, El Salvador and Honduras); in fact half of the population of Guatemala is Maya. Although they do not build pyramids like the ancient Maya did, modern Maya still wear similar dress, follow similar rituals and some use the ancient Maya calendar. I am sure they would all like to assure you that they have definitely not disappeared! We know now that what is called the ‘Classic Maya Collapse’ was actually a slow breakdown, followed by a reconstruction, of a number of political, economical and cultural structures in the Maya society. Archaeologists see cities being abandoned over the course of the 9th, 10th and 11th centuries, and people travelling north into the Yucatan Peninsula (Mexico) building new great cities such as Mayapan, which was occupied up until the 15th century. Secondly, there was nothing mysterious about it! A number of associated factors were at play. There was a severe drought in the rainforest area that lasted decades, so people moved north where water sources were more easily available. The competition between warring factions and cities for natural resources led to increased warfare, which in turn, led to the breakdown of trade networks. All this was likely exacerbated by political and economical changes in Central Mexico. So, very much like the French did not disappear after the French Revolution, although they stopped building castles and some big political, economical and cultural changes occurred in the French society, the Maya did not mysteriously disappear around the 10th century. 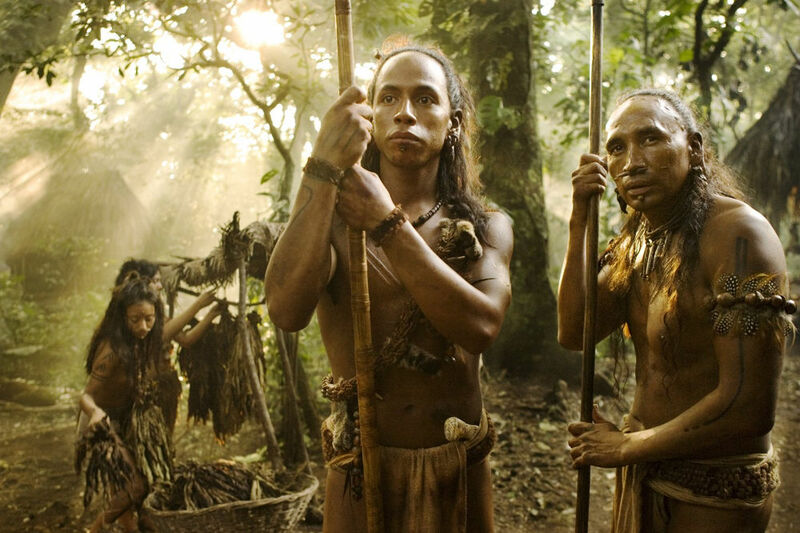 The Maya are often portrayed in the media and popular culture as blood-thirsty (see for example Mel Gibson’s 2006 Apocalypto), so the commonly accepted -and oft-repeated- idea is that the Maya carried out lots of sacrifices. Actually, there is barely any trace of sacrifice in the archaeological record of the Maya area. The rare evidence comes from pictorial representations on ceramics and sculpture. Warfare amongst the Maya was actually much less bloody than ours and no, they did not use a real skull as a ball in their ballgame! And no, the loser was not put to death! In warfare, they did capture and kill opponents, but it was on a small-scale. Rulers boasted of being “He of five captives” or “He of the three captives”. The heart sacrifices that were recorded by the Spanish chroniclers were those of the Aztecs. It is also important to keep in mind that the Spanish Conquistadors had lots of incentives to describe the indigenous people of the Americas as blood-thirsty savages. It made conquest and enslavement easier to justify (see the Valladolid Debate) so many stories were exaggerated. And who are we to judge when we used to have public spectacles of people being hanged or having their heads chopped off and placed on spikes on London Bridge! 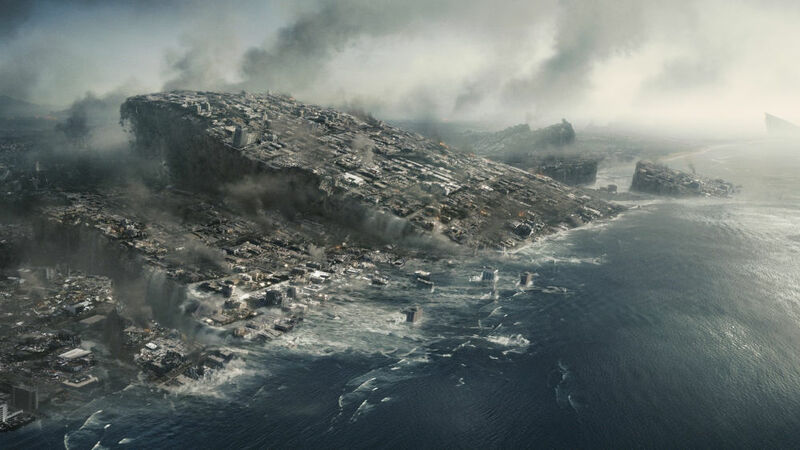 The 2012 phenomenon was a range of beliefs that cataclysmic events would trigger then end of our world on December 21st. This date was regarded as the end-date of approximately a 5,125-year-long cycle in the Maya Long Count calendar and it was said that the ancient Maya had prophesied the event. This is not true and all Maya people today and Maya specialists know this! Very much like on 31st December 1999 people in the Christian world celebrated the end of a century and of a millennium (although technically it was ending only on 31 December 2000), on 21st December 2012 a great cycle of the Maya Long Count -the 13th b’ak’tun– was to end. A b’ak’tun is the equivalent of 394 years. Only two Maya monuments –Tortuguero Monument 6 and La Corona Hieroglyphic Stairway 12– mention the end of the 13th b’ak’tun. None of them contains any speculation or prophecy as to what would happen at that time. While the end of the 13th b’ak’tun would perhaps be a cause for celebration, the next day the Maya believed that a new cycle -the 14th b’ak’tun- would begin, much like our New Year’s Eve. In fact, in the temple of Inscriptions at Palenque, where we find the tomb of King Pakal, it was written that in AD 4772 the people would be celebrating the anniversary of the coronation of their new King Pakal! The Maya created an incredible civilization in the rainforest where it is extremely humid, with lots of bugs and dangerous animals and little water. There they built spectacular temples, pyramids and palaces without the use of metal tools, the wheel, or any pack animals, such as the donkey, ox or elephant. The Maya were the only civilization in the whole of the Americas to develop a complete writing system like ours. They were only one of two cultures in the world to develop the zero in their number system and so were able to make advanced calculations and became great astronomers. The Maya were extremely advanced in painting and making sculptures, they played the earliest team sport in the world and most importantly, for me anyway, is that we have the ancient Maya to thank for chocolate! So no, they were definitely not primitive! The problem with this view of the ancient Maya is that their achievements are then explained by the help of extra-terrestrial beings or other civilisations. The Olmec civilisation is an earlier culture located along the Gulf coast of Mexico. This myth of the Olmecs being a ‘mother culture’ for the Maya and other cultures in Mesoamerica has been questioned over 20 years ago and long been put to rest. Excavations have shown that there were many other cultures, other than the Olmec living in Mesoamerica before the Maya and rather than a ‘mother culture’ we should be looking at ‘sister cultures’ all influencing each other. Furthermore, Maya achievements in hieroglyphic writing and calendrics, which no other culture in Mesoamerica had seen or used, indicate that they were much more innovators than adopters. So, if the resource mentions the above, then it is obvious that they are not specialists and are using redundant information written over 20 years ago. Chichen Itza was inhabited quite late during the Maya time period, about 1400 years after the first Maya city and is not purely Maya. The city was quite cosmopolitan and greatly influenced by Central Mexico, particularly the Toltecs, who may have lived there. Therefore, its architecture and art, such as the ‘chacmools‘ or the ‘tzompantli‘ (AKA ‘skull-racks’) actually are Central Mexican, not Maya. A much better example of a typical Maya city would be Tikal, which was occupied for more than 1500 years. So, if all you see on a website is Chichen Itza, chances are this is not a reliable source of information about the ancient Maya and your ‘charlatan alarm-bells’ should go off! 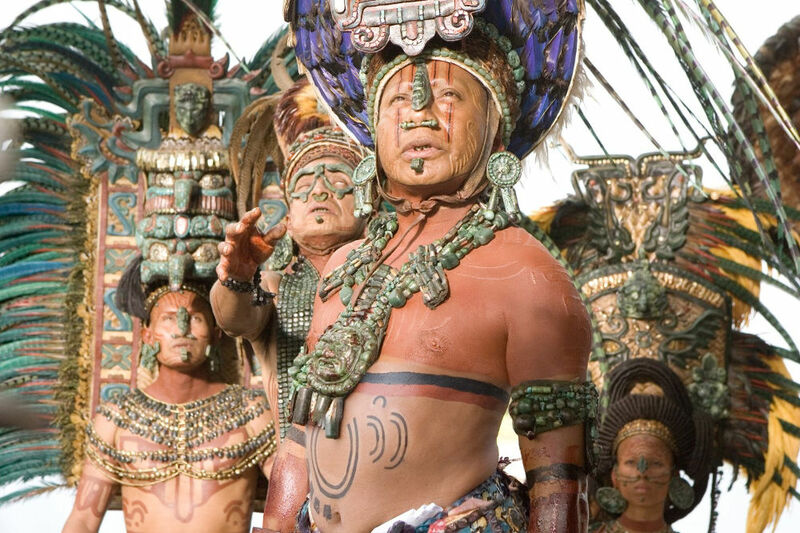 Want to learn more about the ancient Maya? This overview of the Maya world will give you useful guidelines to do more search on the topic. You’ll find more resources here and here, along with a list of recommending readings and a list accurate free online resources. My own scientific publications are freely available here. I’ve worked with a number of teachers who’ve shared their material online. The following resource was written by teachers during their trip to Guatemala which I had organised with Denise Woltering from the Stone Center for Latin American Studies (Tulane University, New Orleans): Signs of Change: A K-12 Curriculum on the Contemporary Maya. It includes art activities for Key Stage 2. Finally, to entertain kids, you’ll find 10 Amazing facts about the Maya and some quizzes to test your knowledge. 23 Responses to "How to spot untrustworthy resources on the Maya"
Admiring the dedication you put into your blog and in depth information you offer. It’s nice to come across a blog every once in a while that isn’t the same out of date rehashed material. Fantastic read! I’ve bookmarked your site and I’m including your RSS feeds to my Google account. What a pleasure to find this webpage. I just visited Belize for the first time and that spurred me into learning more, much more, about the ancient and modern Maya than the pitiful smattering I already had. I’ve already hit the library for the opening round of books. As for the anarchic internet, your guidance on b.s. detection is much appreciated! Thank you Susan, your comments are much appreciated! Thanks very much for this. I enjoyed your informative and highly useful piece. You are welcome, I am glad you have found it of use. Great article, but it worries me as part of teaching is letting pupils do their own research and there are so many inaccurate websites and books being produced for KS2 teaching and so few accurate ones that their is little to teach with. HELP!!! Yes, it is a problem, although this is what the pupils could research – it is important for children know that not everything you read on the internet is correct and they need to look at where the resource comes from, all part of historical enquiry. With that said, under my teacher resource section on my website I list all the websites that I have found that are accurate, so the children are welcome to use these. 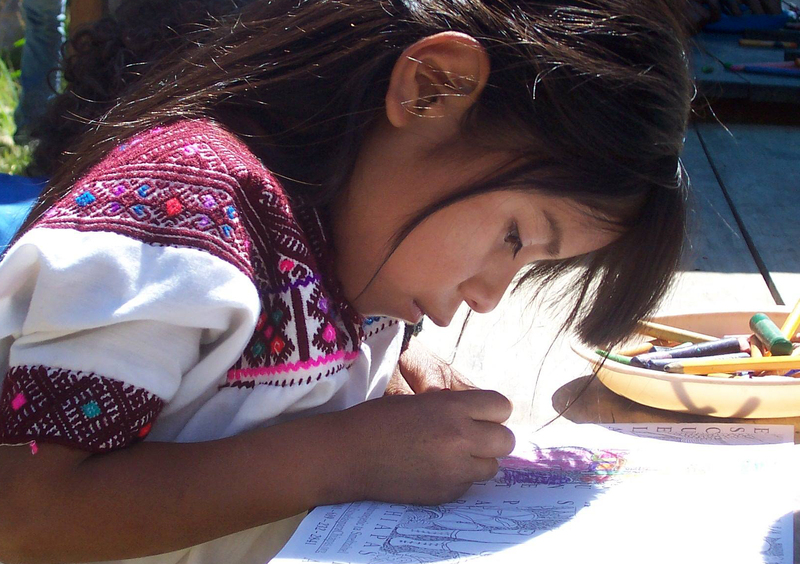 Also under the pupil section I have included information on the Maya as well as how to pronounce Mayan words, myths about the Maya and quizzes for the children to do. 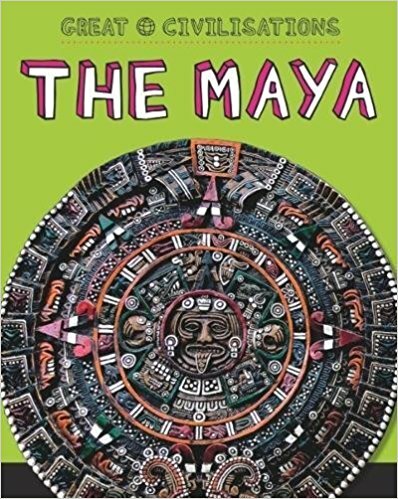 I have just released a book for schools on the Maya and a detailed scheme of work with media resources will be available for free on my website in September. This scheme of work has been created by myself and a group of teachers who came on a CPD session with me to the Maya area this year. Finally, both yourself and the children can always check with me about a resource or query – I have a dedicated area on my website where children can ask me questions. I hope this goes some way to alleviating the frustration! This is a great post, and a wonderful resource to help steer students away from questionable (let’s face it, mostly online) sources. I am wary of the following, however: “[f]urthermore, Maya achievements in hieroglyphic writing and calendrics, which no other culture in Mesoamerica had seen or used, indicate that they were much more innovators than adopters.” You don’t have to be a “Mother Culture” hold-out (or even a champion of the Cascajal Block or San Jose Mogote Monument 3) to admit that the Zapotec and Epi-Olmec scripts likely developed without Maya influence. 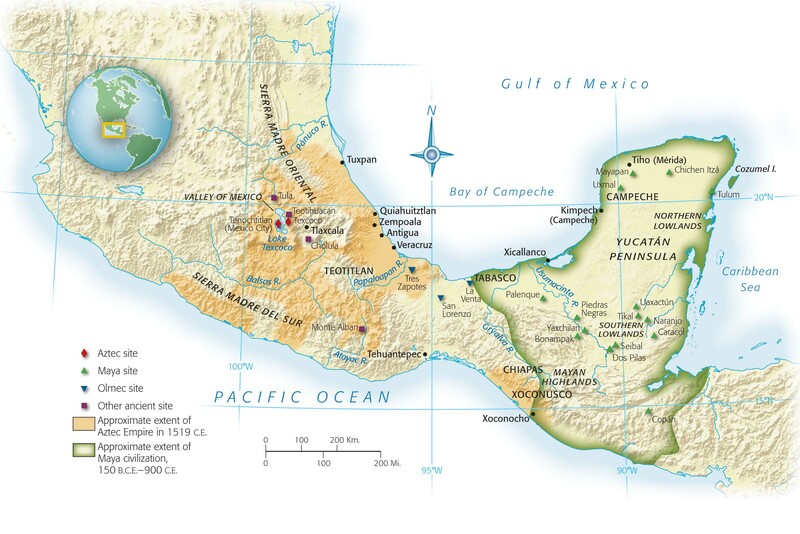 Indeed, archaeologists have yet to find a Long Count date from the Lowland Maya region that pre-dates the Cycle-7 monuments known from the Isthmus of Tehuantepec and the southern Highlands. I agree with your comment completely, I am not saying at all that the Maya influenced Zapotec and Epi-Olmec scripts, rather the Maya didn’t receive all their knowledge from the Olmecs. As mentioned, the ‘sister culture’ model is more appropriate. I am also, as you saw, being very pro-Maya here as there is much misinformation about them in the UK. It is a subject that has not been taught before, but in recent years it has been added to the Primary Curriculum and teachers need help! I just love your summary. We “civilized” people of the 21st Century enjoy lumping people together based on misinformation. Thank you for you comment Walt, do spread the word! The study of the Maya along with conteporary Maya should be taught to the native inhabitants. There are so many misconceptions and it is only right that we as natives learn our culture so that as tour guides or trainers we can dispel some of these myths and falsehood within our country. I am sure you had to leave out many deserving red flags, but one that bothers me is the misuse of the word “glyph,” usually referring to a whole stela or inscribed panel. A glyph is a single hieroglyph. Or, less correctly, a glyph-block, which is a roughly square form composed of one or more glyphs (usually two or three), which comprise a single word. For example, the word for “jaguar” is Balam, which was sometimes spelled ba-la-ma. When spelling “jaguar,” these three glyphs almost always cling together into a single block. I was shocked and amazed to see how credulous and illogical the 3900 other authors were. How could readers not see the holes in their logic, and accept without question these total fantasies? We tend to project our dreams and nightmares onto whatever is mysterious and unknown; I call this the “Here be Dragons” fantasy. The Maya are still “mysterious.” As long as we know so little about them, we shall continue to project onto them. Thank you for you comments Mark. Actually, I have been advertising your work in all my teacher workshops (including your 2012 book), particularly the short videos you have which are great for children. Also, your “Reading the Maya Glyphs” book has been long on my website for recommended reading and is mentioned in all my classes, a really useful book. Thanks for the clarifications. The only one I question is the first–Maya vs. Mayan. That sounds more like political correctness among anthropologists (who believe they get to pick the terms) rather than anything specific to the Maya themselves. Lovely piece, thank you for demystifying and arming people with some salvo to demystify what is all too common quasi-mystical mumbo jumbo found online. Thank you! I am glad you have found it of use.